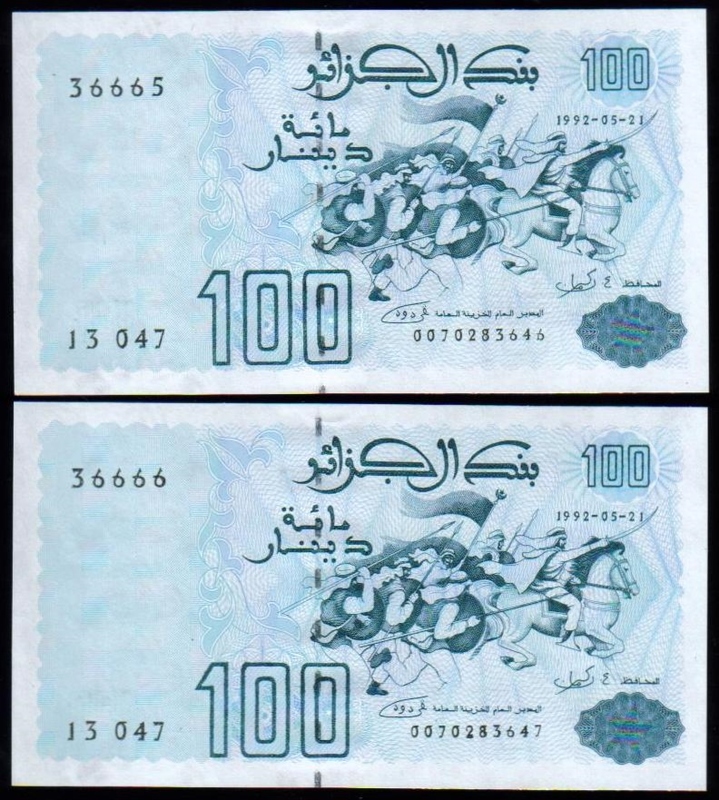 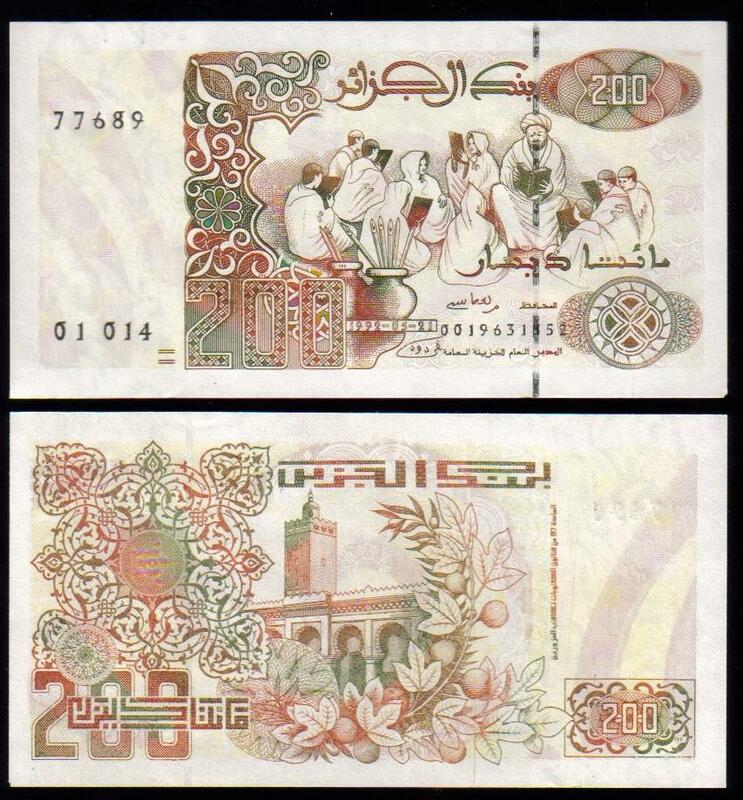 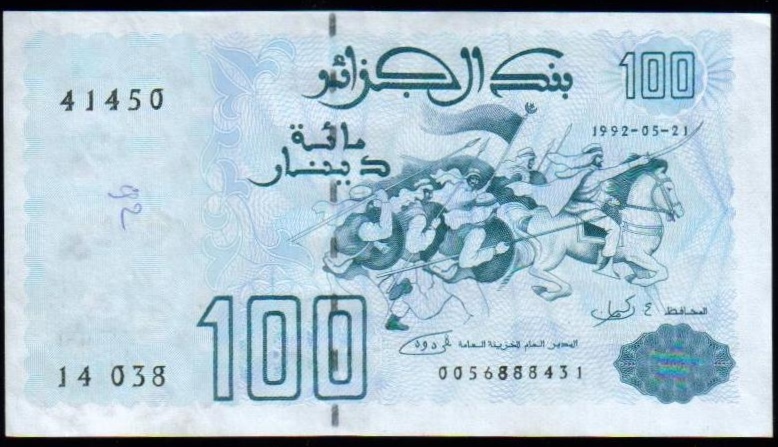 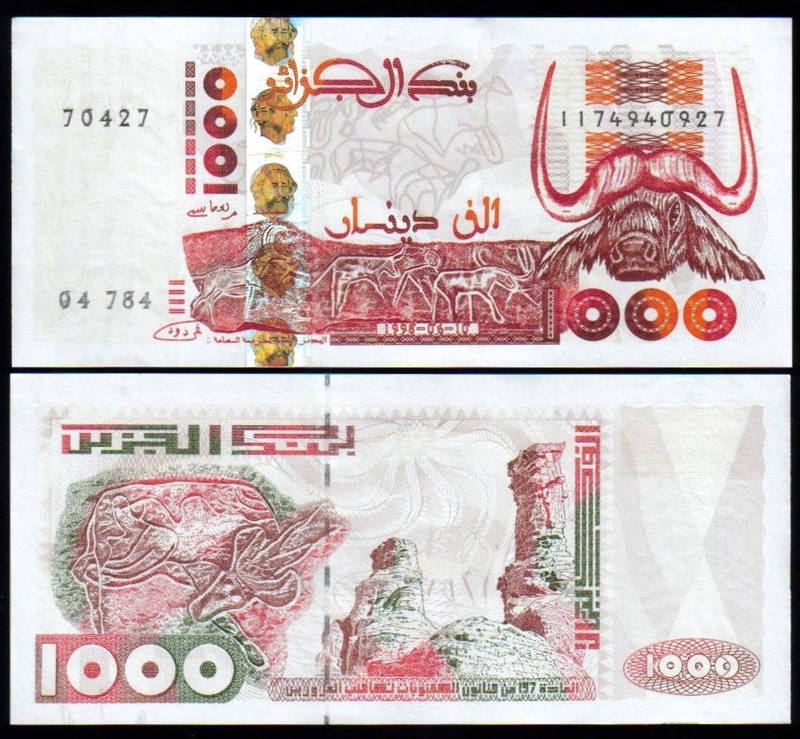 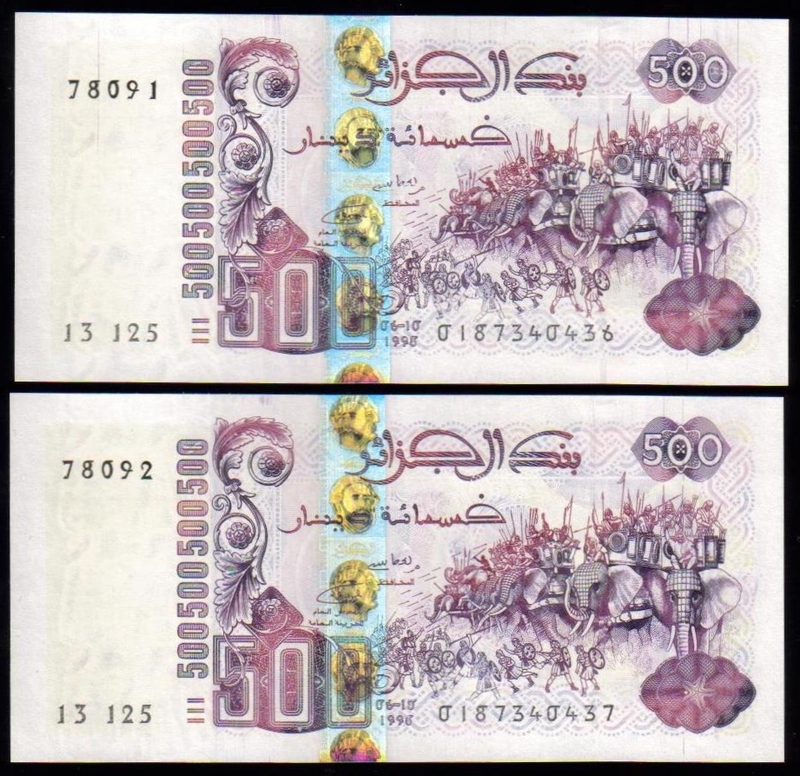 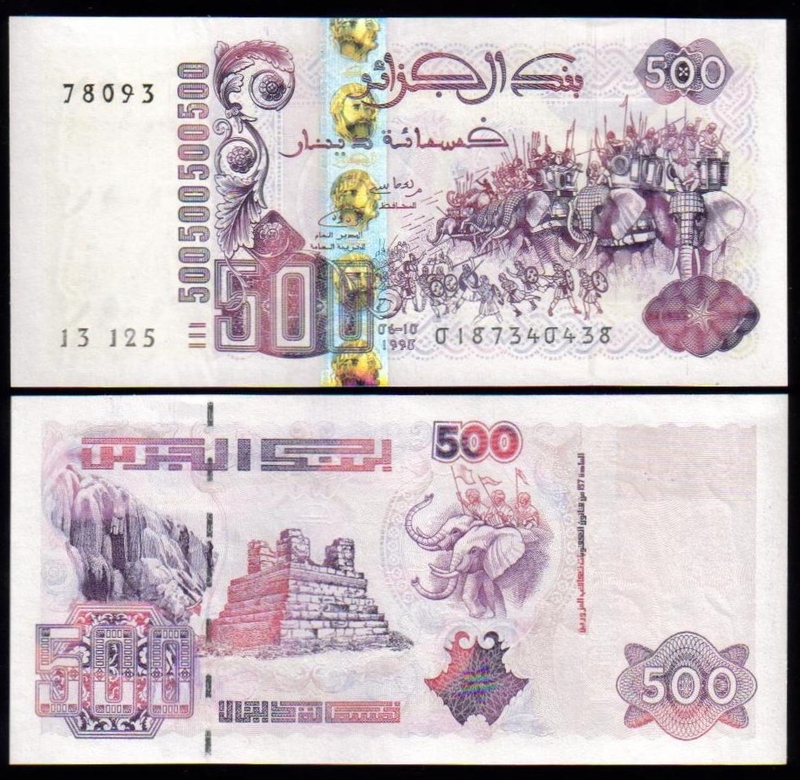 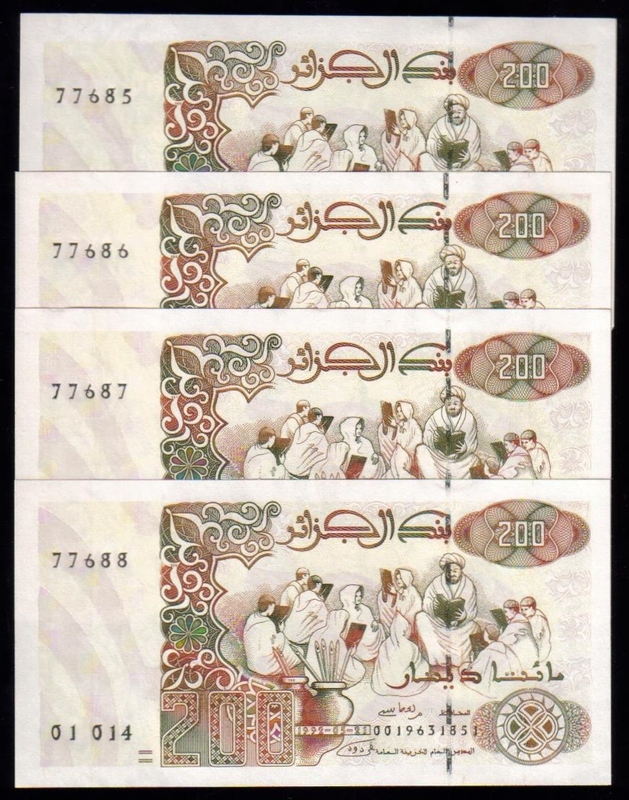 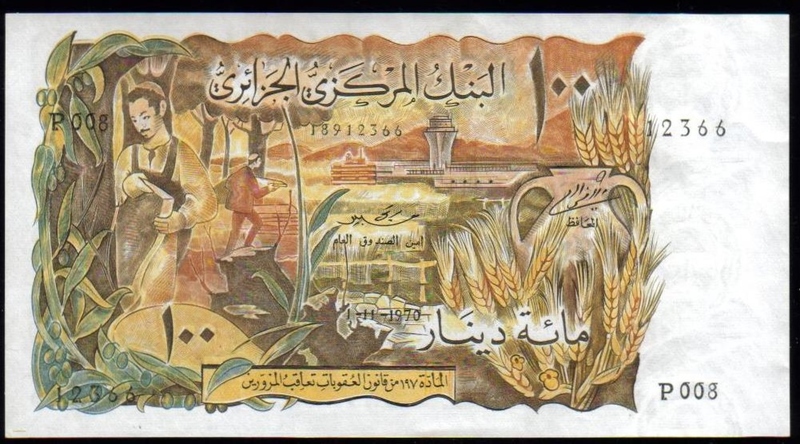 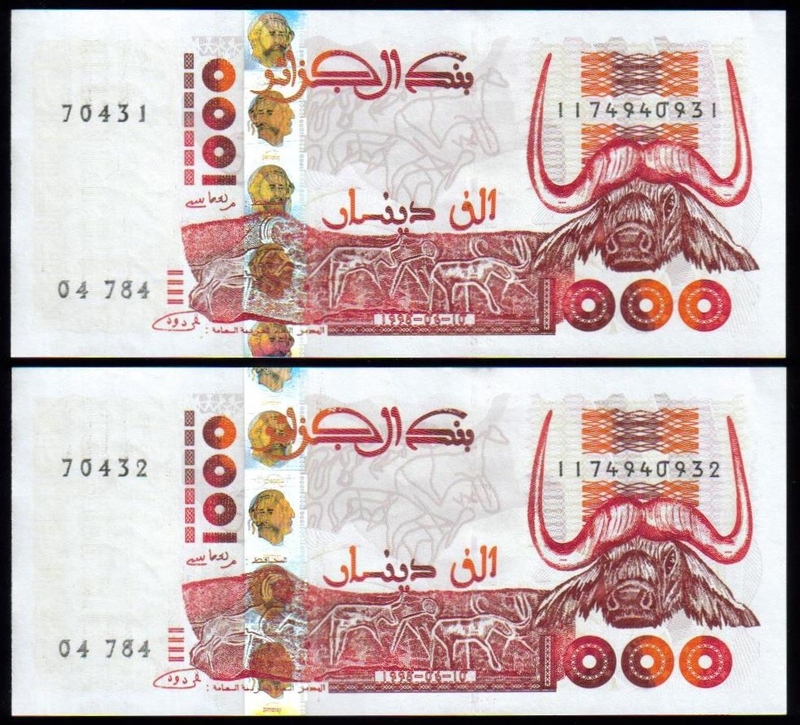 10 Dinars from the 1970 set. 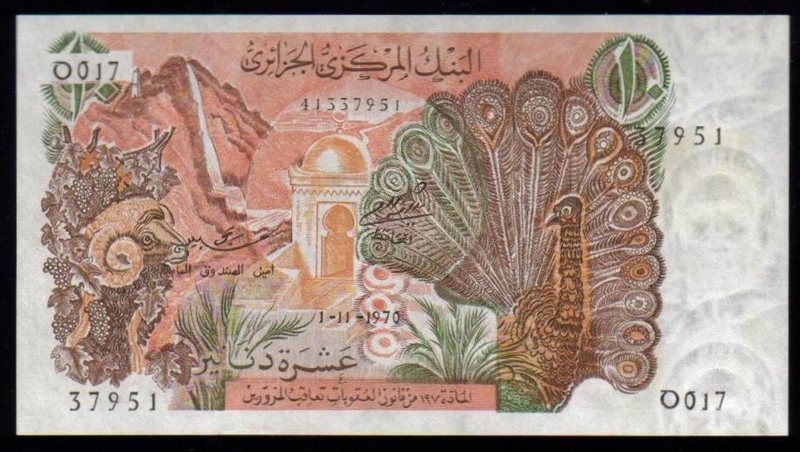 Sheep at left, peacock at right. 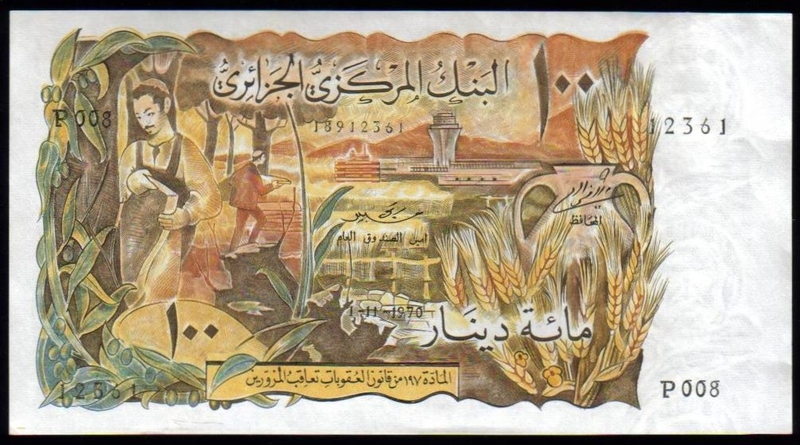 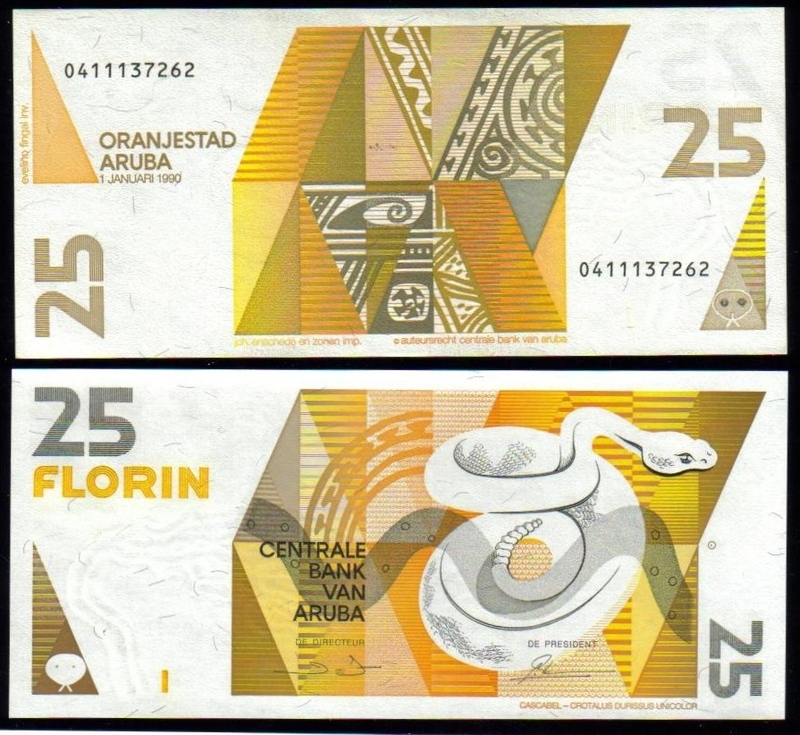 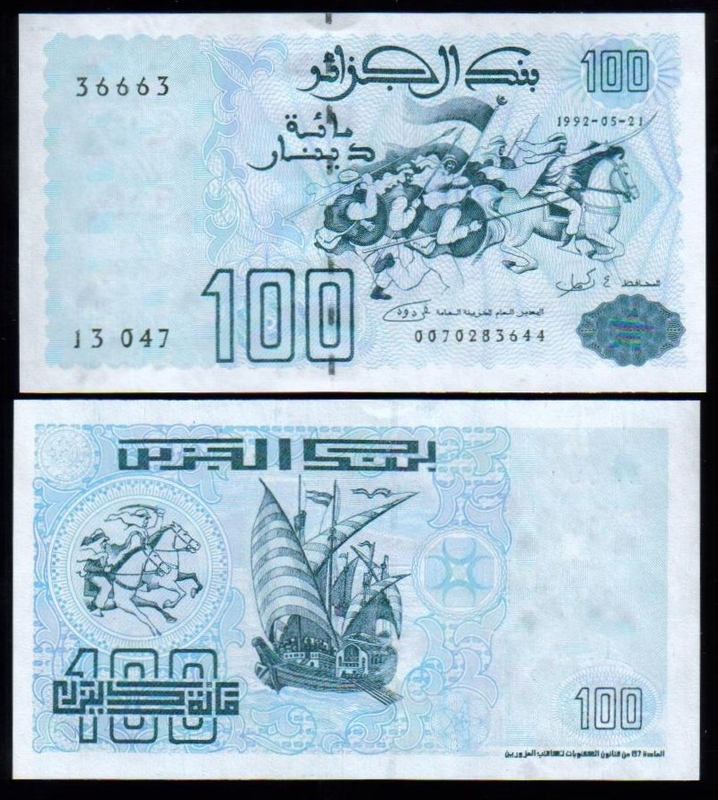 100 Dinars from the 1970 set. 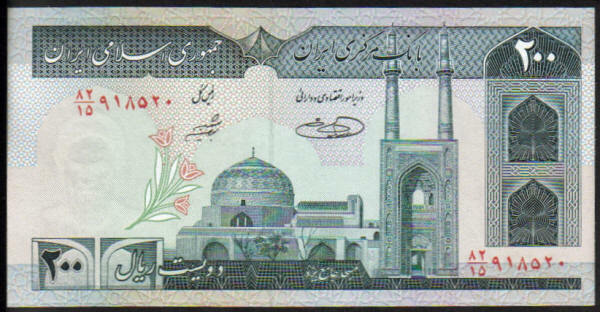 Two men at left, airport at center, Prefix 008.